The difficulty comes in reconciling optimal practices for decompression safety with divers' desires and normal practices. It is understandable for divers to want to warm themselves before the start of a dive, in anticipation of getting colder as the dive proceeds. Historically, divers did this by pouring warm water into their wetsuits or gloves before a dive. Then some divers began to place chemical hot packs in their suits. Modern divers have even more choices available to them, due to today's array of active heating garments suitable for use with either wetsuits or drysuits. The problem, though, remains the same: warming the body's peripheral tissues enhances circulation and increases the delivery of inert gases, particularly if the heating is applied early in a dive, when inert gas uptake is typically at its highest level. Furthermore, both warm water and chemical hot packs lose their effectiveness over time, potentially creating the warm-cool pattern shown to generate the greatest risk of DCS. Even active heating garments — which are able to keep the diver warm throughout a dive — involve a somewhat elevated risk. As shown with hot water suits, a warm-warm pattern, while associated with less DCS than a warm-cool pattern, remains more hazardous than a cool-warm pattern. Practically, divers should maintain adequate thermal protection to ensure clear thinking and physical capability. Excessive warming during dives should be avoided. Divers must also keep in mind that postdive warming can also influence decompression risk. Indulging in rapid postdive warming, such as by taking a hot shower or getting into a hot tub, decreases the solubility of inert gas in tissues. This will promote the formation of bubbles in local tissues, often before perfusion increases sufficiently to remove the gas. Skin symptoms, fortunately often mild and transient — not cutis marmorata — can develop with rapid warming of the skin postdive. 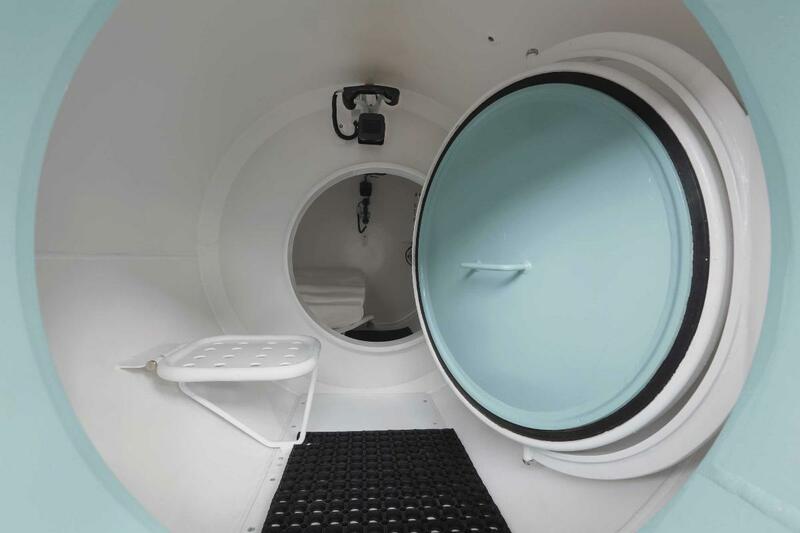 The challenge is to get divers to prioritize safe decompression over pure comfort. If an active heating system is to be used, this means leaving it off or on its lowest setting during your descent and bottom phase, and then turning it up a modest amount during your ascent and stop phase. It also means delaying the postdive pleasure of jumping into a hot shower or hot tub. If delayed gratification is not your style, then you should use more conservative dive profiles to reduce your overall risk.